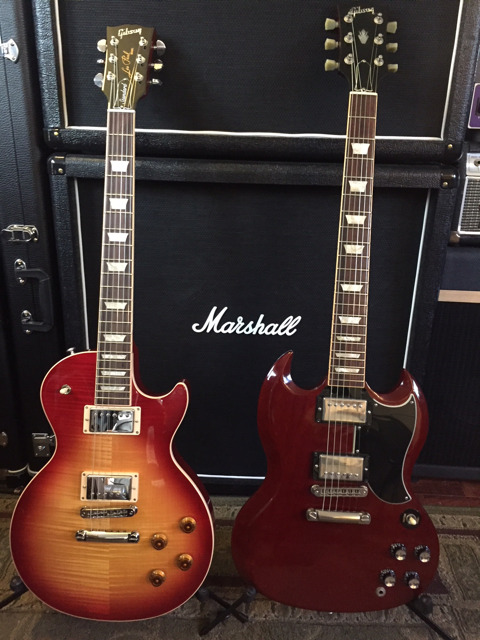 Discussion in 'Gibson SG' started by VetPsychWars, Nov 9, 2018. Had an issue trying to mount a Maestro vibrola in my Pelham Blue body. Just set it aside for now. $399 to The Stratosphere and parts from the Pelham Blue, and here we go. Both are worn cherry 2017. 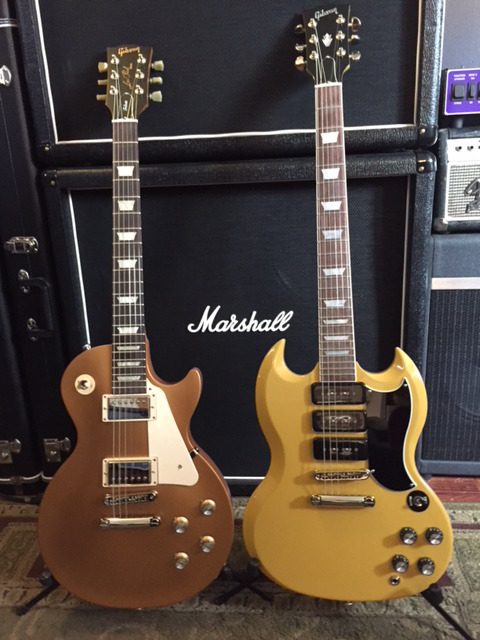 The Les Paul was a High Performance and I suspect the SG was a Special. The Les Paul has Livebuckers and the SG has DiMarzio 36th Anniversay PAF... but it will get a Super Distortion tomorrow. Very happy that the white pickguard on the SG fit the existing screw holes. Voxman, cerebral gasket and arcticsg like this. 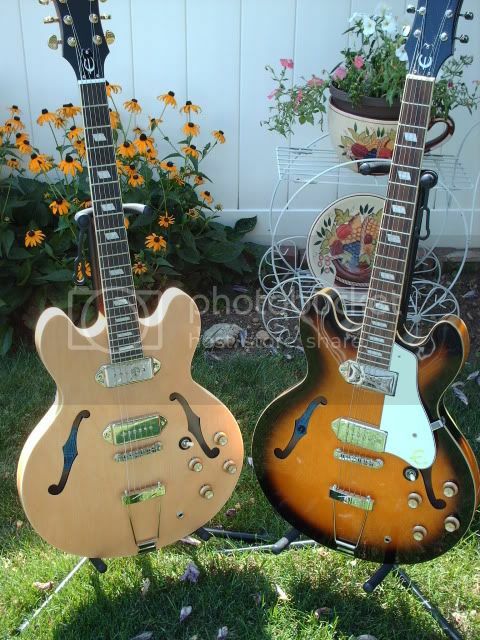 Nice looking twins! So the LP is a HP 2017 Studio? arcticsg and cerebral gasket like this. Yes, I believe so. Between you and me, I like the Faded 2017 T better. Logan, Tiboy and cerebral gasket like this. Some of your fraternals aren't very twinlike. The one on the left got its ears clipped. Twins, it's just that the guy on the left got a haircut. arcticsg and GrumpyOldDBA like this. Now there is a man who likes his ebony!